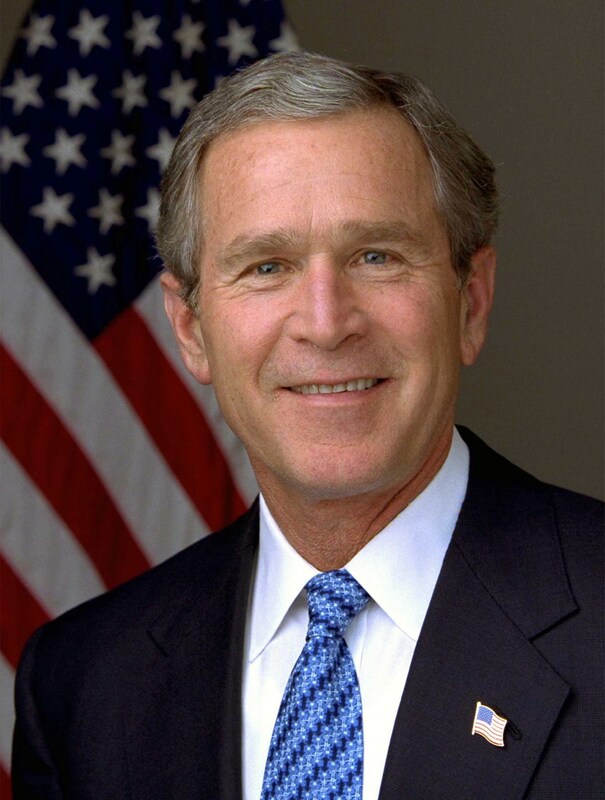 President George W. Bush. Photo by Eric Draper, White House. Photo is in the Public Domain. Most Republican leaders at state and national levels are proving that they are as clueless about reforming health care economics as the wonks who designed Obamacare. At the Wisconsin level, Republicans and Democrats on the Joint Finance Committee voted 16-0 to walk away from self-insurance for state employees and the many millions of dollars in savings that would follow. They are completely out of step with large hospital corporations, with large health insurers, with 80% of corporations with more than 200 employees, with half of state governments and with an increasing number of local governments and school districts – all of whom have converted to self-insurance. What do those legislators know that the rest of these payers don’t get? With their vote to protect the Medical Industrial Complex, which lobbied mightily against the change, the legislators defied Gov. Scott Walker, who does understand health care economics and showed the political courage to take on the powerful Complex. Nor are the Republicans at the federal level following Walker’s lead. Their American Health Care Act (AHCA) is a kissing cousin of Obamacare (ACA), which they sought to repeal for seven years. The GOP plan deploys tax credits instead of direct subsidies, but that’s a distinction without much of a real difference. The Republicans are keeping ACA’s coverage of existing conditions, retaining guaranteed issue, continuing child coverage up to 26 on parents’ plans and will stick with most of its core benefit requirements. The biggest GOP reform looks to be a sharp curtailment of ACA’s major expansion of Medicaid, a poorly run and highly expensive program. But that is going to be a killer issue for the GOP at election time in 2018. People who lose coverage are unlikely to back the Republican budget-cutters—unless they are given a better choice in the marketplace. Whether it‘s ACA or AHCA, there is no real hope that costs in the bloated Medical Industrial Complex will be reduced, that premiums in the individual policy market will do anything but soar or that Medicaid will stop busting state budgets. Meanwhile, two huge sectors of the health care marketplace have done better, both enabled by President George W. Bush’s Medicare Modernization Act of 2003. They are the Medicare Advantage plans and employer-provided coverage. Both have bent the inflation curve in health care. Both are popular with Americans. So why would Speaker Paul Ryan and the Trumpians not look there for answers? Self-insured private corporations have deployed incentives and disincentives, such as Bush’s 2003 Health Savings Accounts. Many have installed medical homes, often on-site. Some have started to use value-based purchasing that entails bundled, low prices. Many have held costs to less than $15,000 per employee, compared to more than $20,000 in the general market. In the Medicare realm, Tom Hefty, former CEO of Blue Cross Wisconsin, which administered Medicaid and Medicare programs nationwide, points out that Medicare is far better managed than Medicaid. He stresses that the Advantage programs preserve consumer choice among various vendors. It therefore preserves competition. Studies show Medicare Advantage save money compared to direct payment by the federal government. Over 30% of Medicare eligible people have moved to Advantage plans, and customer satisfaction is high. So, Hefty asks, why don’t Democrats (who hypocritically have no improvement amendments for the failings of ACA) and Republicans (whose AHCA is not much of an improvement over ACA) get together behind Medicare Advantage for all—while preserving private sector choices. Even Bernie Sanders and Elizabeth Warren would like this solution. President Bush, a Republican, introduced the Medicare Advantage program. It could be bipartisan and therefore healing for the country. Political reality is that a failure by the GOP to come up with a compelling replacement for Obamacare could cause the public to default to a government solution. It is not looking good for a GOP plan to make it out of both houses of Congress. Default is possible. Even if a compromise bill emerges, it will have to be rammed through Congress by GOP leaders and President Trump. As proven by President Obama, the partisan ramming of ACA in 2010 undercut its acceptance as a sustainable solution. Expect no Democratic votes for AHCA, so it will be under partisan attack from the get-go. In the event of such a default or an unpopular bill in the context of the 2018 Congressional elections, smart politicians could find a safe harbor in programs that work — expand Medicare Advantage and let employers keep their plans if they so choose. Put another way: why go with a market for individual insurance policies that was busted by Obamacare or with Medicaid that is out of control? Medicaid spending is driving out all other state budget priorities. Yet, that’s where ACA and AHCA go for solutions. Instead, they could blend more of the private sector reforms with Medicare Advantage for a model that could be popular, has proven to work and could be successful for the long term. John. I don’t want the Industrialist Insurance Industry in my healthcare. Self insure the Nation! While seniors can switch from Medicare Advantage to traditional Medicare, there is one huge wrinkle: you are NOT guaranteed access to Supplemental Insurance (“Medigap”). After you turn 65-1/2, you are no longer guaranteed eligible for Medigap coverage if you have any pre-existing condition (and most seniors do). While ACA removed consideration of pre-existing conditions for regular insurance, ACA did nothing to change this for Medigap. So, if you want to switch from Medicare Advantage to Traditional Medicare, you may have to do so without Medigap coverage (which basically means you pay about 20% of all costs out-of-pocket). Because of this, once you go onto Medicare Advantage, you could be stuck there for life. Another problem with Medicare Advantage is that, like many ACA policies, you are limited to certain doctors and hospitals. This becomes maddening if you have surgery and later discover that your anesthesiologist (whose name you don’t learn until the day of surgery) is out-of-network, so you will be billed. (This won’t happen with traditional Medicare and Medigap.) This is also unworkable if you have a second home in in another state (Florida, for example).